The Board of Control for Cricket in India (BCCI) has announced the India team for the ICC World Cup in Mumbai on Monday. K.L. Rahul, Vijay Shankar and Dinesh Karthik has found place among the 15-member squad, while wicket-keeper batsman Rishabh Pant, who has been in prolific form and was hailed as Dhoni's successor, was not selected for the Indian world cup team. While the name of 11 of the team members were more or less final even before the BCCI announcement on Monday, the selectors daunting task was to select a batsmen who could fit in the No.4 choice and India's second wicket-keeper. Towards the fag end of the ODI series against Australia, captain Kohli had said that "just one spot" is up for grabs in the World Cup squad. That's where Vijay Shankar comes as a price pick for the ICC Cricket World Cup that will begin on May 30. Ambati Rayudu was another probable for the No. 4 spot. 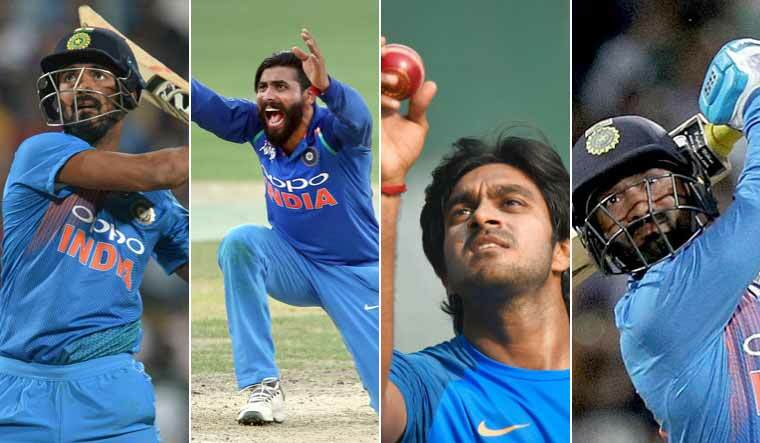 In yet another surprise, the selectors decided to go with spinner Ravindra Jadeja, instead of picking a fourth pacer from among Umesh Yadav, Khaleel Ahmed, Ishant Sharma and Navdeep Saini. Virat Kohli (captain), Rohit Sharma (vice-captain), Shikhar Dhawan, K.L. Rahul, Vijay Shankar, M.S. Dhoni (wk), Kedar Jadhav, Dinesh Karthik, Yuzvendra Chahal, Kuldeep Yadav, Bhuvneshwar Kumar, Jasprit Bumrah, Hardik Pandya, Ravindra Jadeja, Mohammed Shami. The last date for announcing the World Cup squads is April 23.